June 2013 – somewhat bookish. I read 7 books in May, a nice recovery from my April slump (thanks to a good dose of YA fiction!). 4 books were fiction, 3 were non-fiction. 5 were on the Kindle, 2 were in print, and I scratched one more “Read it or Lose it” book off the list. Yay! Catching Fire by Suzanne Collins. The sequel to Hunger Games. Also quite good. I liked it almost as much as Hunger Games, which I wasn’t expecting. The Penderwicks on Gardam Street by Jeanne Birdsall. This is the second Penderwicks book, a children’s books series about four sisters being raised by their widowed father – and I think it’s better than the original. Mockingjay by Suzanne Collins. The final book in the Hunger Games trilogy. Fine, not brilliant, but I’m glad I read it to complete the story. Coming Home to Eat: The Pleasures and Politics of Local Food by Gary Paul Nabhan. This was one of my “Read it or Lose it” books. This was apparently the first of the “local food movement” books – predated Michael Pollan’s The Omnivore’s Dilemma. It’s good, but I had to take the things that Nabhan said with a grain of salt. He’s an academic, doing quite alright financially, with children who do not live with him, so he has a lot more time and money to expend towards eating locally than most of us. Still it was interesting to see what eating locally looked like in Arizona. Princess Academy: Palace of Stone by Shannon Hale. This was the sequel to the Princess Academy book, which I really liked. The sequel was fine, but nothing amazing for me. I don’t know if I’ll bother to read another (assuming Hale makes it into a series). How Children Succeed: Grit, Curiosity and the Hidden Power of Character by Paul Tough. This book was really fascinating. It looks at the sort of “soft” skills that children need to succeed – and shows how being persistent, curious, contentious and having good self-control is more important that pure intelligence. It also talked a lot about the importance of a child’s experience in the first few years of life in developing those traits – something that is of a lot of interest to me as the parent of a 1 1/2 year old. Highly recommended. Wild: From Lost to Found on the Pacific Coast Trail by Cheryl Strayed. This book is an interested counterpoint to A Walk in the Woods by Bill Bryson (one of my favorite books ever) – although Wild involved less humor and more FEELINGS. This isn’t a bad thing though, I really enjoyed Wild, both the woman going it alone/adventure in hiking part, and the I’m processing through big life things part. I’d recommend this one too, especially if you life memoirs. Life List #9. 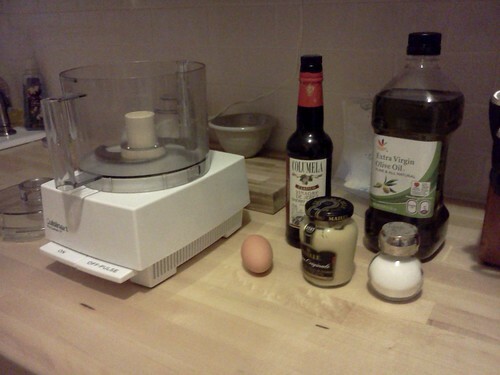 Make mayonnaise from scratch. As a good Southern girl, I love mayonnaise, and (just like the whole “popcorn on the stove” thing) I’d heard it was simple enough to do, yet was somehow intimidated. Mayonnaise is a thing you buy, right? But Mark Bittman (and my former coworker, Emma) told me I could do it so I put it on my life list as motivation and last night I finally made it. It actually worked – which seems somehow magical. 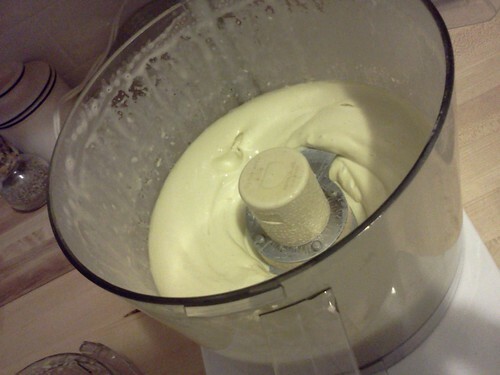 I can imagine that making mayonnaise was a huge pain before the days of food processors, but it’s easy enough now. I don’t think it will become my default – the recipe makes a cup and it has to be used pretty quickly, so I’ll probably still rely on the jarred stuff for sandwiches, but for recipes where I need a larger amount, now I can make it myself. Pretty cool.